~OPEN HOUSE SAT MAR 19, 2-4pm~ Former SHOWHOME is located on a quiet Cres in Cougar Ridge. It features a sunny SOUTH back yard that fills the house w/natural light, spacious LR with Gas Fireplace, Kitchen with breakfast nook & separate Formal Dining Room. The Kitchen is perfect for a busy family with extended maple cabinets to the breakfast nook, computer station, corner pantry, stainless appliances, filtered water, garburator & eat-up bar. Other upgrades include rich oak hardwood floors, vaulted foyer, fresh paint, lg windows w/ top down blinds & new oversized deck. The Master Retreat is spacious w/ walk-in closet & private 4pc en-suite featuring soaker tub & separate shower. The 2nd floor also includes 2 kid’s bdrms, full bath & large Bonus Room over garage. 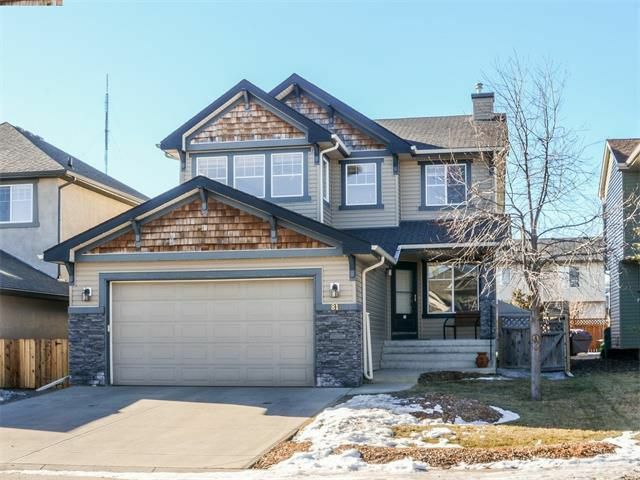 Gather the family to watch movies in the fully finished basement with lush carpet, custom cabinet, 4th bdrm, full bath & dedicated storage room. Main flr laundry, Central Vacuum & Shed also included. This home is immaculate & shows 10/10!